San Onofre Unit 2 Restart Dilemma - SCE & global experts disagree on causes of Unit 2 FEI and MHI refuses to release useless proprietary information. Subject: NRR RAI # 30: Reference 1, Figure 8-2 - Provide similar figure for maximum interstitial velocities. RAI #32): Please clarify how the information submitted by SCE demonstrates that the structural integrity performance criterion in TS 5.5.2.11.b.1 is met for operation within current licensed limits up to the licensed RTP, or provide an operational assessment that includes an evaluation of steam generator TTW for operation up to the RTP. (SCE has not yet responded to NRR RAI #32, so this DAB Safety Team’s response is only for comparison to RAI #30 at this time, but we will respond to SCE’s Response To RAI # 32, when it becomes available on the NRC website). * John H. Large is a Chartered nuclear engineer and internationally known analyst primarily known for his work in assessing and reporting upon nuclear safety, nuclear related accidents (Fukushima Dai-ichi) and incidents (damaged Russian nuclear submarine Kursk). Besides the DAB Safety Team, he is the only other expert, who has provided an In-depth review of SONGS Unit 2 Return to Service Reports and prepared a “GAP Analysis” blasting the errors in reports prepared by SCE, Westinghouse, AREVA and MHI. 2. DAB Safety Team Investigation reveals that Global Experts disagree amongst themselves on causes of Unit 2 FEI: The Global Experts did not have either access to or did not look for Unit 2 operational/design data and calculations. That explains the reason for differing and confusing analysis on Unit 2 FEI conclusions by SCE and their global experts. These contradictions are further explained under DAB Safety Team Comments (C.4 below) which are reaffirmed by John Large, when he states, “I note here that there are three clear conflicts of findings between the OAs: From AREVA that AVB-to-tube and TTW result from in-plane FEI, contrasted to Westinghouse that there is no in-plane FEI but most probably it was out-of-plane FEI, and from MHI that certain AVB-to-tube wear results in the absence of in-plane FEI from just turbulent flow. My opinion is that such conflicting disagreement over the cause of TTW reflects poorly on the depth of understanding of the crucially important FEI issue by each of these SCE consultants and the designer/manufacturer of the RSGs.” The NRC AIT Report, SCE, Westinghouse, MHI, Independent Expert and AREVA conclusions on Unit 2 FEI are inconsistent, confusing, contradicting, smoke and mirrors and inconclusive. The NRC AIT Report, SCE and AREVA conclusions on Unit 2 FEI are unacceptable. However, Edison to the contrary says that exhaustive research by its team of global experts demonstrates a clear and unanimous agreement on the safety of what it calls a conservative plan to re-start their dangerous SONGS Unit 2 as soon as possible. SCE is expecting the NRC to give them blanket permission without giving NRC San Onofre Special Review Panel time to prepare RAI’s and identify corrective actions required to close the gaps between SCE, Westinghouse, MHI, Independent Expert and AREVA reports. If Safety is really SCE’s No. 1 priority and “there is no timeline on safety”, they would keep San Onofre shut down until they have replaced both MHI replacement steam generators for Unit 2 and 3 with brand new replacement steam generators made by Westinghouse after a full license amendment process or just shut it down for good. When will SCE and the NRC admit that MHI just does not have the capability, technology and facilities to manufacture CE replacement steam generators? 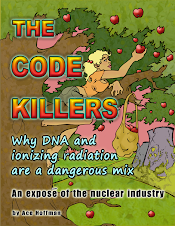 The public cannot afford to gamble with these SCE, MHI & the NRC’s insane experiments. B. DAB Safety Team Investigation of OSGs and RSGs Operational Data: Based on examination of the Westinghouse or WEC data in Tables 8-2 and 8-3, and SCE Unit 3 Root Cause Evaluation, DAB Safety Team concludes that SONGS Original Combustion Engineering steam generators (OSGs) were operated at a secondary side operating pressure of 900 psi, thermal power 1729 MWt, void fraction of 96.1% and maximum interstitial velocity of 22.90 feet/sec. That is why OSGs did not suffer FEI (tube-to-tube wear), but only experienced tube-to-TSP wear from flow-induced random vibrations in the out-of-plane directions. SONGS Unit 3 RSGs were operating at a secondary side operating pressure of 833 psi, thermal power 1729 MWt, void fraction of 99.6% and maximum interstitial velocity of 28.30 feet/sec. That is why SONGS Unit 3 RSGs suffered FEI (unprecedented tube-to-tube wear) in the in-plane direction and experienced significant tube-to-AVB/TSP wear from excessive flow-induced random vibrations and Mitsubishi Flowering Effect in the out-of-plane directions. Based on information from anonymous RCE Root Cause Member, DAB Safety Team investigation of Unit 2 plant operational/design data, calculations and NRC AIT Report, SONGS Unit 2 RSGs were operating at a secondary side operating pressure between 892-942 psi, thermal power 1724 MWt, void fraction between of 96-98% and maximum interstitial velocity of ~ 23 feet/sec. That is why SONGS Unit 2 RSGs did not suffered FEI and experienced limited tube-to-AVB/TSP wear compared with Unit 3 from flow-induced random vibrations and Mitsubishi Flowering Effect in the out-of-plane directions. C.1. Background: Unprecedented tube-to tube wear (TTW) damage to SONGS Unit 3 replacement steam generators (RSGs) was caused by fluid elastic instability or steam dry-outs in one narrow region of RSGs U-tube bundle. The thin RSG tubes in the U-tube bundle move with high amplitudes due to high steam-water mixture velocities exceeding critical fluid velocities (aka maximum interstitial velocities) and hit neighboring tubes with violent and repeated forces due to lack of thin water film (aka void fractions ~ 99.6%) on the hot vibrating tubes. SCE provided figure 8-2 shown below to NRR, which shows a graphical relationship depicting exact percentage of void fraction of ~ 99.6% for SONGS Units 2 & 3, which caused tube-to tube wear. The figure 8-2 shows a good agreement between Edison team of global experts regarding void fractions based on ATHOS Modeling results shown in Table 8-2. DAB Safety Team have shown in several Press Releases and San Onofre Papers, that fluid elastic instability did not occur in Unit 2. Based on the results of ATHOS thermal-hydraulic modeling NRC AIT Team/Edison and its team of global experts are not sure among themselves, whether fluid elastic instability occurred in Unit 2 or not. SCE did not provide a similar figure like 8-2 to NRR showing relationship of maximum interstitial velocities to tube-to-tube wear, but provided table 8-3, which shows a range of differing interstitial velocities, which caused tube-to tube wear. An examination of Table 8-3 shows that there is NOT a good agreement between Edison team of global experts regarding maximum interstitial velocities based on ATHOS Modeling results shown in Table 8-3. By asking for a figure for Table 8-3, NRR wants to determine the exact relationship between maximum interstitial velocities and tube-to tube wear. Let us examine, how SCE responded to NRR request. C.2. SCE Response dated January 28, 2013 to RAI #30: This response to this NRR RAI requested figure showing graphical relationship of maximum interstitial velocities to tube-to-tube wear has been redacted by SCE and MHI from the public view. NRC AIT report stated, “The combination of unpredicted, adverse thermal hydraulic conditions and insufficient contact forces in the upper tube bundle caused a phenomenon called “fluid-elastic instability” which was a significant contributor to the tube to tube wear resulting in the tube leak. The team concluded that the differences in severity of the tube-to-tube wear between Unit 2 and Unit 3 may be related to the changes to the manufacturing / fabrication of the tubes and other components which may have resulted in increased clearance between the anti-vibration bars and the tubes; Due to modeling errors, the SONGS replacement generators were not designed with adequate thermal hydraulic margin to preclude the onset of fluid-elastic instability. Unless changes are made to the operation or configuration of the steam generators, high fluid velocities and high void fractions in localized regions in the u-bend will continue to cause excessive tube wear and accelerated wear that could result in tube leakage and/or tube rupture.” The AIT report, issued July 18, 2012 further states, “The NRC analysis indicated a correlation with the tube-to-tube wear based on a combination of high void fraction and high steam velocities. It should be noted that the traditional forcing function, fluid velocity squared times density, does not show good agreement with the tube-to-tube wear patterns. This indicated that the high quality steam fluid velocities and high void fraction may be sufficiently high to cause conditions in the generators conducive for onset of fluid-elastic instability. The ATHOS code predicted regions of high void fraction and high steam velocities are superimposed with tube-to-tube wear indications from Unit 3 steam generator 3E0-88. The above analyses applies equally to Units 2 and 3, so it does not explain why the accelerated fluid-elastic instability wear damage was significantly greater in Unit 3 steam generators. The ATHOS thermal-hydraulic model predicts bulk fluid behavior based on first principals and empirical correlations and as a result it is not able to evaluate mechanical, fabrication, or structural material differences or other phenomena that may be unique to each steam generator. Therefore this analysis cannot account for these mechanical factors and differences which could very likely also be contributing to the tube degradation.” MHI states in their Technical Report, ”Because this high void fraction is a potentially major cause of the tube FEI, and consequently unexpected tube wear (as it affects both the flow velocity and the damping factors), the correlation between the void fraction (steam quality) and the number of tubes with wear in a given void fraction region was investigated. From this investigation, a strong correlation between the void fraction (steam quality) and the percentage of tubes with the Type 1 (tube-to-tube) and Type 2 (Tube-to-AVB) wear was identified. The correlation between flow velocity and the number of tubes with wear was also investigated. The results show that when the flow velocity is high, the percentage of tubes with wear increases, even though this correlation is not as strong as that between the void fraction (steam quality) and the percentage of tubes with wear. SCE Publicly Available Unit 3 Root Cause Evaluation states, “During the recent reviews of the thermal/hydraulic model outputs, flow velocities have been identified as changing considerably, generally trending to a higher velocity which negatively impacts system stability against FEI. Currently the full evaluation of this potential is underway and may provide additional potential contributors to FEI.” Mitsubishi in a 10 CFR Part 21 to NRC in October 2012 stated, “The plugging of the tubes that have the possibility of the fluid elastic instability and thermal power output reductions were identified as potential corrective actions. SCE will run Unit 2 at 70% power for a short duration as a corrective action. In addition, SCE and MHI will continue a detailed analysis and investigation [into] this problem. Additional corrective actions may be required as the analysis and investigation continue.” As the public can see, the real root cause for Units 2 and 3 FEI has not been completed, yet SCE is anxiously waiting to restart it’s “defectively-Designed and Degraded Unit 2 RSGs” pending NRC Approval. DAB Safety Team has already challenged the accuracy and validity of NRC AIT and SCE Root Cause Evaluation conclusions in several Press Releases and Reports. NRC San Onofre Special Panel is investigating DAB Safety Team Allegations. The high fluid interstitial velocities and high void fractions are shown in SCE Enclosure Tables 8-2 & 8-3 and high void fractions in Figure 8-2 shown below. So the question is why SCE and MHI do not want the public to see a similar figure like Figure 8-2 of maximum void fraction for the maximum interstitial velocities, perhaps because the correlation of flow velocity and the number of tubes with wear is not as strong as the void fraction. Therefore, by providing a Figure like 8-2 for interstitial velocities based on the information presented in Table 8-3 with wide variations in interstitial velocities presented by different experts and the impact of interstitial velocities on the tube-to-tube wear could lead to the NRC and Public asking for more explanations and questions from SCE and MHI. Notes: Not all sources had access rights to the ATHOS models of some of the comparison plants, resulting in blank cells in this table. C.4.1. Westinghouse OA Conclusions: (a) An evaluation of the tube-to-tube wear reported in two tubes in SG 2E089 showed that, most likely, the wear did not result from in-plane vibration of the tubes since all available eddy current data clearly support the analytical results that in-plane vibration could not have occurred in these tubes, and (b) Operational data – Westinghouse ATHOS Model shows no operational differences in Units 2 & 3 (void fraction ~99.6%) and then Westinghouse says in (a) above that FEI did not occur in Unit 2. Westinghouse is contradicting its own statement. C.4.2. AREVA OA Conclusions – Based on the extremely comprehensive evaluation of both Units, supplemented by thermal hydraulic and FIV analysis, assuming, a priori, that TTW via in-plane fluid-elastic instability cannot develop in Unit 2 would be inappropriate. C.4.4. SCE U2 FEI SONGS RCE Team Anonymous Member Conclusions – FEI did not occur in Unit 2. D. DAB Safety Team Conclusions On Unit 2 FEI – Due to higher SG pressure (Range 863 – 942 psi) and lower thermal megawatts as compared to Unit 3, FEI did not occur in Unit 2. This is consistent with the position of RCE Team Anonymous Member. This is consistent with the design of Original SONGS steam generators, which had a void fraction of 96.1% and did not experience FEI . The NRC AIT Report, SCE, Westinghouse, MHI, Independent Expert and AREVA conclusions on Unit 2 FEI are inconsistent, confusing and inconclusive. The NRC AIT Report, SCE and AREVA conclusions on Unit 2 FEI are unacceptable. E. DAB Safety Team Conclusions to Information redacted by MHI from RAI #30: So in response to the earlier question, why, “MHI does not want the public to see a similar figure like Figure 8-2 of maximum void fraction for the maximum interstitial velocities” MHI claims that the disclosure of redacted figure showing relationship of maximum interstitial velocities to tube-to-tube wear to the public and other Global Experts would have negative impacts on the competitive position of MHI in the US and World Markets. SCE/MHI provided figure 8-2, does that mean it did not have negative impacts on the competitive position of MHI in the US and World Markets. DAB Safety Team concludes that the SCE Engineers really do not understand the fundamental concepts of fluid elastic instability, and therefore are not really sure whether fluid elastic instability occurred in Unit 2 or not. SCE/MHI Engineers are confused between the positions of Westinghouse and AREVA and the results of ATHOS Modeling. Therefore, MHI Engineers are in a real “Dilemma” and do not want to make their response of RAI #30 public on the pretense of losing competitive edge or they simply cannot answer RAI#32. San Onofre NRC AIT Report, SCE Unit 3 Cause Evaluation, SCE Unit 2 Return to Service Reports, SCE Response to NRR RAIs, San Onofre Special Tube Inspection Reports and 10 CFR 50.59/FSAR Justifications need to be thoroughly reviewed and a GAP Analysis prepared by NRC NRR, Civil, Mechanical, Chemical, Materials, Structural, Electrical/I&C, T/H Engineers, Computer Modeling and the San Onofre Special NRC Panel Members. San Onofre Special NRC Panel Members need to make accurate and precise engineering decisions based on validated and auditable facts in accordance with Honorable and Respected Dr. McFarlane’s High Standards. These decisions have to be made without any political/financial/time pressures from EIX/SCE Officers, CPUC Chairman, NRC Commissioners, Pro-SCE Politicians, Attorneys or Industry Lobbyists. Ex NRC Branch Chiefs (Dr. Joram Hopenfeld, Mel Silberberg, etc. ), Anonymous “Critical Questioning & Investigative Attitude” Genius NRC Branch Chief, US Public, San Onofre Workers and Southern Californians would appreciate San Onofre Special NRC Panel Members “Critical Questioning & Investigative Attitude”, True, Unbiased and Diligent Public Safety Efforts. More and more Southern Californians, Cities, Businesses, School Districts are joining every day the chorus to press Federal Regulators to hold a trial-like hearing before deciding whether the San Onofre nuclear plant is safe to reopen. Newly elected San Diego Congressman Vargas said, “When he was an assemblyman he questioned industry executives under oath during the California’s energy crisis. Vargas said that process could be effective for San Onofre as long as those questioning majority owner Southern California Edison executives know what they’re talking about. “Get experts in there,” Vargas said. “To ask them true questions: is it really safe do you really have this under control if not why are you firing it up? Makes no sense. The only reason they’re doing this is they want to get some money and if it sits vacant for a long time they actually can’t recoup their investment.” Federal Regulators and CPUC have no choice, but to abide by the wishes of Southern Californians, because they are paying for the cost of San Onofre because their lives and safety are at risk. SCE and its global experts, CPUC, and the NRC have nothing at risk in this unapproved and potentially lethal experiment.